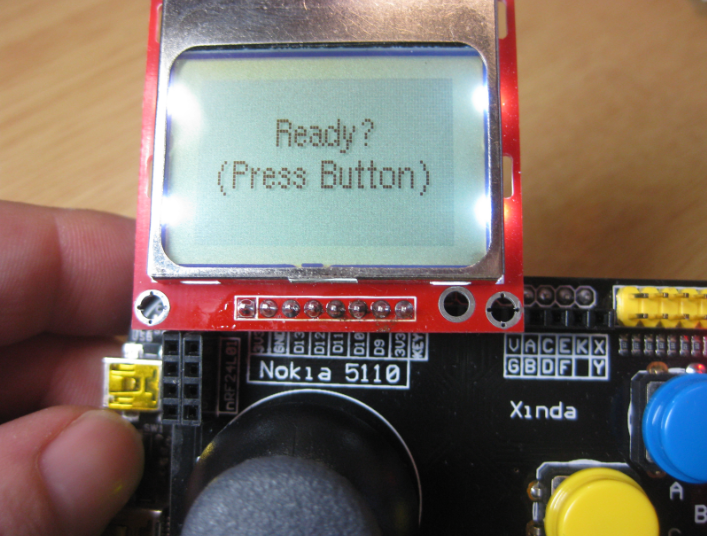 So I have a graphics driver for a Nokia display (see “Zero Cost 84×48 Graphical LCD for the Freedom Board“), I have a joystick shield (see “JoyStick Shield with the FRDM Board“) and I do have a Freescale Freedom board: why not creating a simple game for it? Snake! My first mobile phone was a Nokia with a 84×48 black/white display, and I loved it for many reasons, including having the ‘Snake’ game (see http://en.wikipedia.org/wiki/Snake_%28video_game%29). 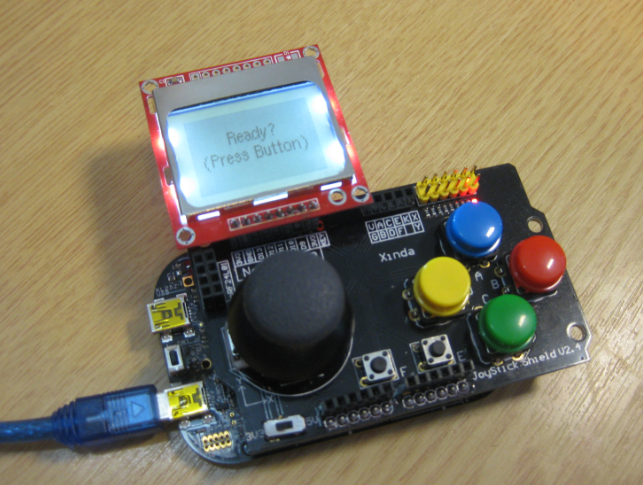 An ARM Cortex M0+ is way overpowered for that simple game, still it is fun to make and game it :-). The game is very simple: A snake is running around, and I can control it with the cursor/joystick with up, down, left and right. The snake has to ‘eat’ the ‘food’, and the snake gets longer the more food is eaten. But the snake shall *not* touch the outside border. 💡 Usually there is another rule that the snake shall not touch itself. But I was too lazy to make it. For the project I ordered a black joystick shield for $11.27, as the soldering quality of the previous ‘white’ one was very bad. The Nokia 5110 LCD I ordered from DX.com for $3.87 so it would directly match with the joystick shield. So makes $30 in total including the FRDM-KL25Z board. As always, the sources are available on GitHub. This entry was posted in Boards, Embedded, Freescale, Kinetis, KL25Z Freedom Board and tagged freedom board, Freescale, KL25Z Freedom Board, Processor Expert, software by Erich Styger. Bookmark the permalink. And, yeah… put in a back door cheat option. Tell your daughter if she finds it you’ll buy her ice cream. Nice!! You gotta love those. I ordered the joystick shield, and meanwhile been playing with some cheap Nokia LCDs, one onochrome and one Color, Posted on my blog. I just have to make my LCD breakout compatilbe with the shield, then try some games. Thank you for sharing. Yes, saw that boards you made, very cool! I used GDisp1 in conjunction with PDC8544 component. I am getting errors GDisp1.c:136: undefined reference to `GDisp1_GetWidth’ .All references to header files were generated by processor expert. Just wonder whether there is an issue with the codewarrior version. I am using codewarrior 10.4? Can you please advise how rectify this error? In the GDisp1 component, right click on the GetWidth method and enable it (Toggle Enable/Disable). Any idea why this method doesn’t work? are you updating the display after drawing with GDisp1_UpdateFull()? 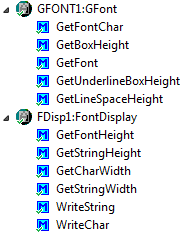 Why are you using ‘7’ for the color and not GDisp1_COLOR_BLACK? 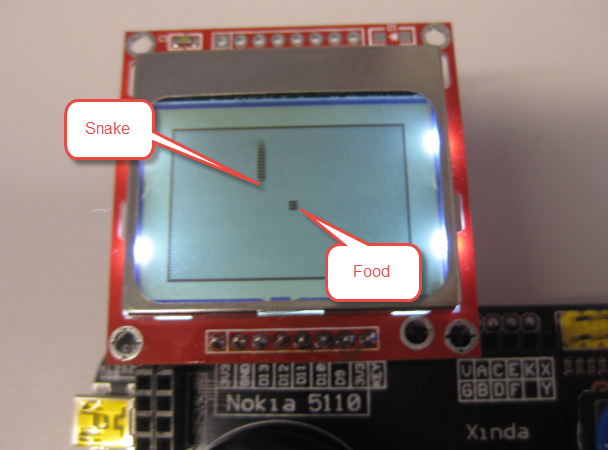 I need do a snake game with a les matrix (8×8) and Freescale kl46z; you know how I can do that? 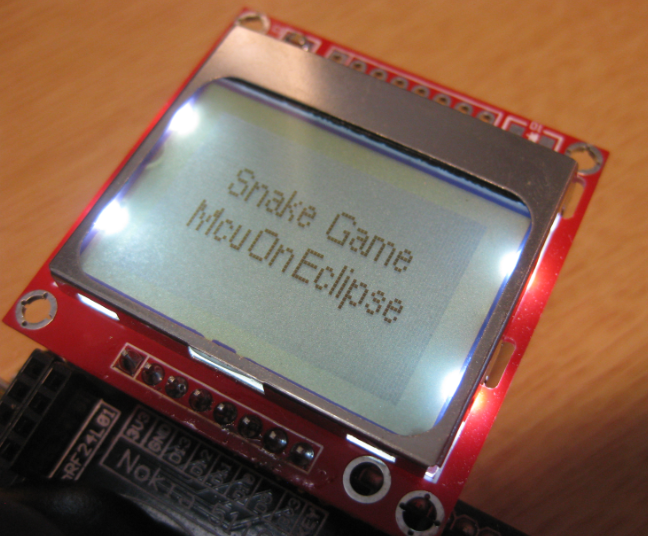 have a look at the snake game sources: it is not hard to adapt the screen resolution size to 8×8 and update the drawing routines for it. I can write words on the screen using the PDC8544 component, but having problems to print a monochromatic bitmap on the 5110 LCD. I’m using the GDisp1_DrawMonoBitmap method, but i don´t know how to load the *.bmp image on the code. How can I do that? There are several tools which can transform a bitmap/image to an array of hex values you can include into your code, e.g. I´m trying to print a monochromatic bitmap on the 5110 screen, but I don’t know how to use the DrawMonoBitmap method. It ask me for an image pointer, but i have no idea how to set it up. Can I have the complete project please? You need Kinetis Design Studion with the McuOnEclipse components (see https://mcuoneclipse.com/2014/10/21/mcuoneclipse-releases-on-sourceforge/). Which program did you use to convert BMT to HEX? There are many utilities you can find on the internet for this. Processor Expert comes with the ‘ExternalFile’ component which can be used for this. It reads e.g. a .bmp bitmap file and produces as source file with the data in an array with hexadecimal values.